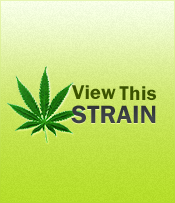 Growing: Â Easy/Medium Jaga is naturally a strong weed variety with mostly indica characteristics. Â Like typical indicas, leaves are dark green and buds usually are formed on the side of its branches. It can grow well using any mediums- in clay pellets, rock wool, coco coir and soil. If hydroponics system is preferred, a grower must ensure that pot growing skills are excellent to guarantee success in Jaga cultivation. Indoor or outdoor garden will allow Jaga marijuana plants grow up to their maximum. Inside, it can maintain is short structure and can reach up to a medium height if cultivate outdoors. Regardless if this strain is nurtured inside or outside, a good amount of nutrients is necessary to support the fast growing of Jaga cannabis plants especially during their vegetative growth. If using soil as the medium, ensure that it is neutral in pH because accumulation of fertilizers may cause the soil to turn acidic and may eventually stunt the growth of Jaga weed plants.